Canon imageFORMULA CR-150 — C&A Associates, Inc.
CR-150 check transport. With high-speed, high-quality, precise processing capabilities plus reliable item handling and other useful features, the CR-150 check transport can help promote adaptability and productivity for financial applications. The CR-150 check transport can help assist in moving paper checks and related documents in front-counter teller settings, merchant/remote deposit capture (RDC) applications, and remittance processing, as well as more higher-volume tasks such as back-office/branch capture, lockbox applications. It enables users—in environments such as banks, credit unions, and retail—to improve their point-of-presentment applications by helping to automate funds deposits for quicker transaction times, decrease errors and fraud, improve customer service, and lower capital and processing costs. CR-150 check transport’s small footprint can fit comfortably on countertops with limited workspace. The scanner is designed for easy use and has multifunction compatibility, combining the functions of many peripherals found at the teller station into one single device, thereby reducing counter space requirements and helping to improve efficiency. 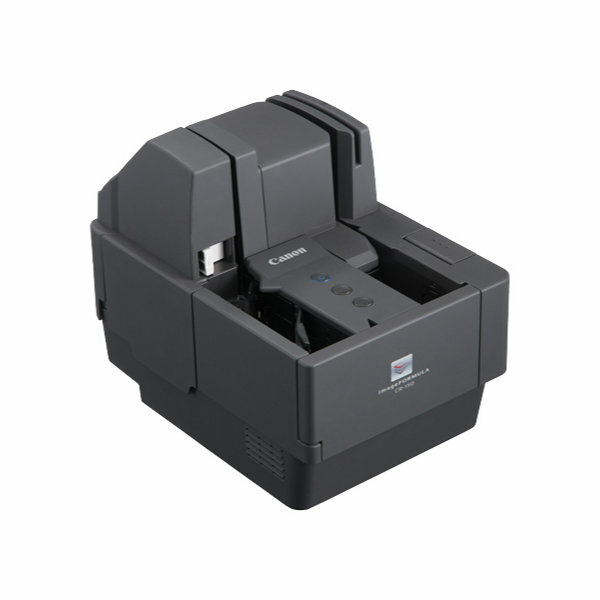 For added usability, the CR-150 check transport has two additional USB ports in the hub to connect to additional USB peripheral equipment such as PIN pad, receipt printer, fingerprint authentication device, and more. range of document types, such as business and personal checks. It also includes a built-in ultrasonic sensor to help prevent misfeeds. To handle these, the cover of the CR-150 check transport can be opened, which also allows users access to the scanning glass and feed rollers for routine maintenance.